Bowling in London? 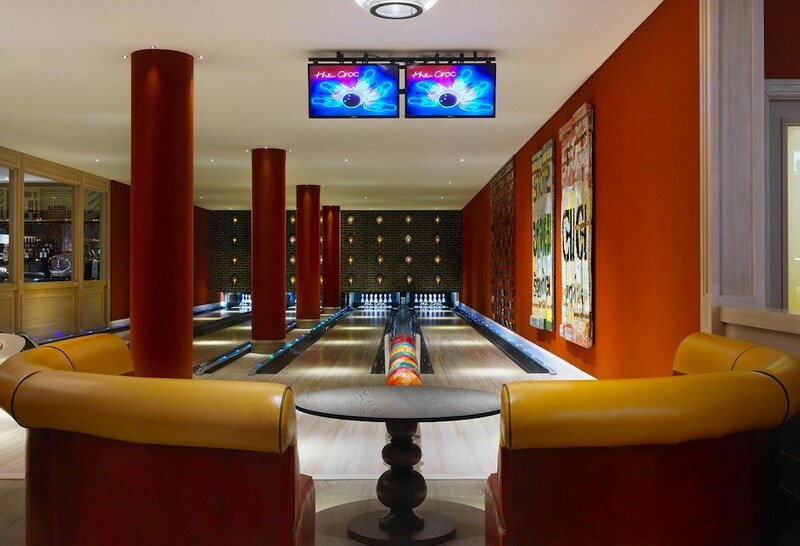 We’ve found the most luxurious ten-pin bowling alleys that won’t drive you spare. 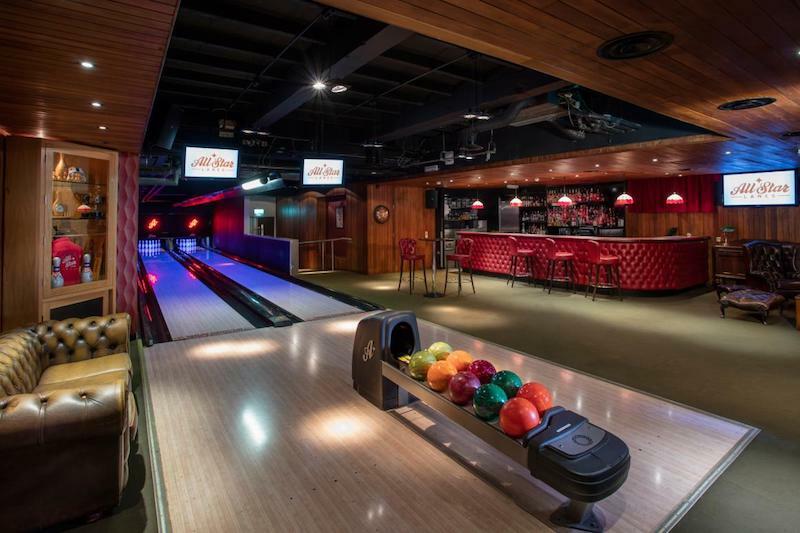 ‘If horse racing be the sport of kings, then surely bowling is… a very good sport as well.’ We couldn’t agree with Homer Simpson more – here are some super-cool ten-pin bowling alleys in London for your next group day out. 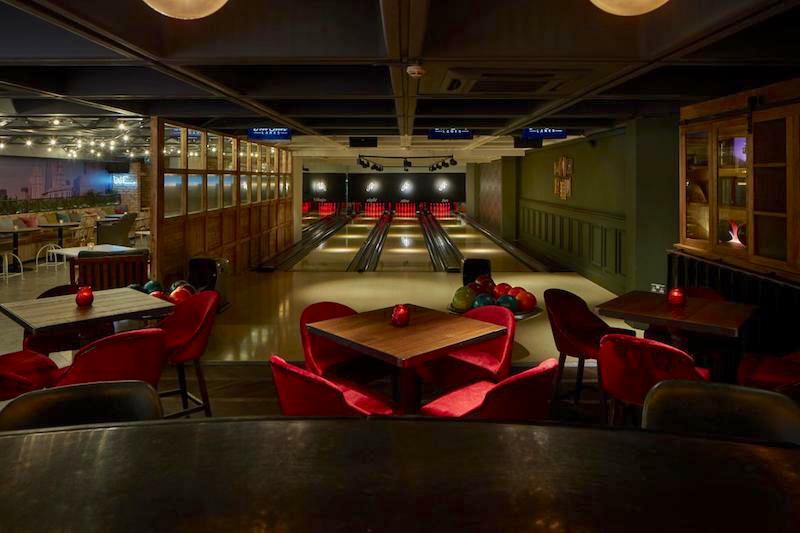 Deep beneath the streets of Soho, the luxurious Ham Yard Hotel has it’s own private, four-lane bowling alley, with some gorgeous retro design work. You can book in a lane or hire the whole thing, so you and your friends can play with your balls in perfect privacy. By far the most expensive option at £20 per person. More info here. 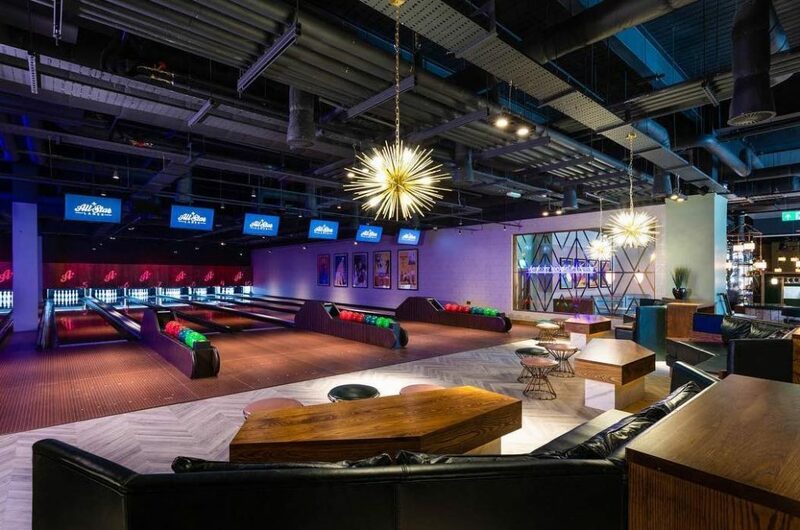 The All Star Lanes group’s most centrally-located bowling alley, it’s home to a four-lane hall, plus a hireable private room (pictured) with two lanes of its own. 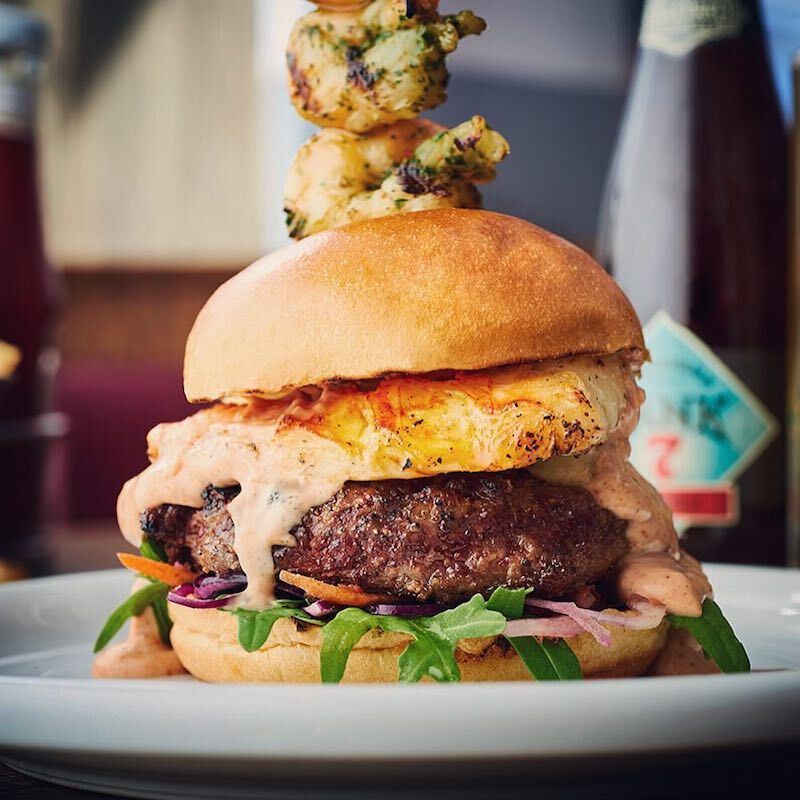 The kitchen serves up classic American diner dishes – think mac’n’cheese, buttermilk fried chicken, and seriously substantial cheeseburgers – while the bar offers some mean G&Ts. £9.95 peak times. More info here. 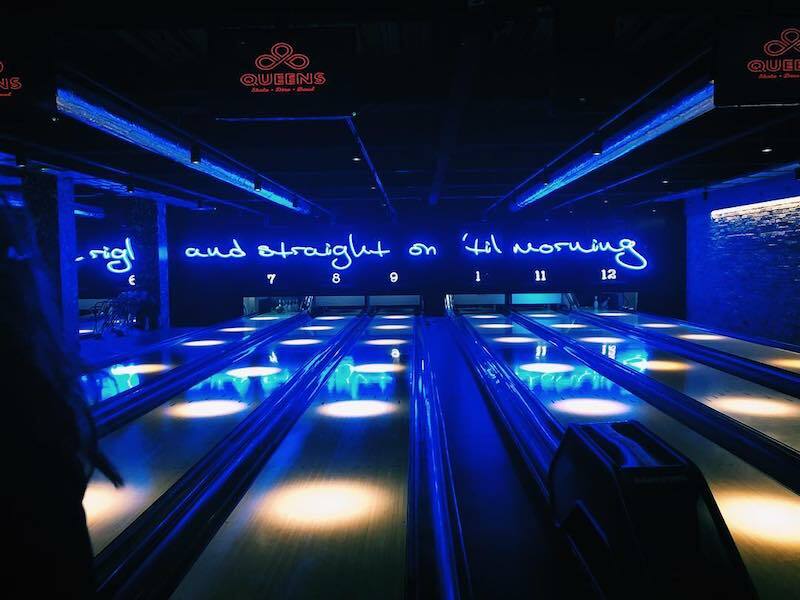 This eight-lane bowling alley is a favourite with night-owls – it’s open until 3am on Fridays and Saturdays – and also hosts retro-inflected club nights, like the Sixties soul-fest All Shook Up. The diner provides massive sharing pizzas among other dishes; there’s also the private five-lane Kingpin Suite to hire, or karaoke rooms you can book. £45 per lane per hour (for up to six players, which would be £7.50 each.) More info here. 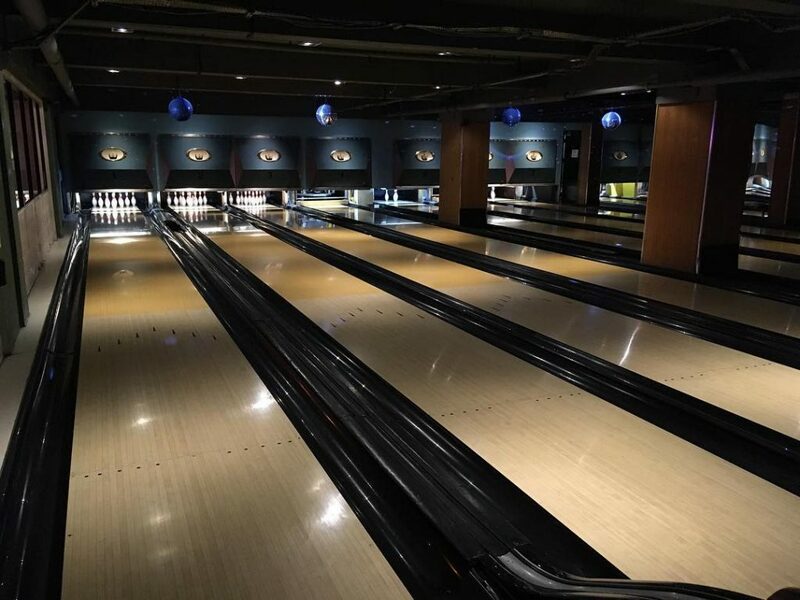 Another All Star Lanes venue in the heart of east London, this one’s home to a six-lane main hall, a hireable ‘Penthouse’ bowling alley with three private lanes, and ample drinking and dining space for some apres-bowl. £9.95 peak times. More info here. Also home to an ice rink (which offers ice karting races!) and a vintage arcade, this 12-lane titan offers ‘competition quality’ bowling in a handsome neon-lit space. Food and drink is provided by the much-loved burger scientists from MeatLiquor. £9.95 peak times. More info here. This old-school venue might not win quite so many style points, but with 24 lanes, late opening hours (until 2.30am Fri/Sat), pool tables and karaoke, this turns into a bit of a party on a Friday night. £6 peak times. More info here. ASL’s biggest bowling alley, this one in the enormous east London shopping mall offers 12 lanes to choose from, and the usual menu. As usual, £9.95 peak times. The last stop on our tour of luxury bowling London is this all-new set of ten-pin lanes. Another production from the All Star crew, this eight-lane alley is inspired by the art deco aesthetics of 1950’s Miami. There really has been no expense… spared. For some old-fashioned pin-smashing – without the leather sofas and mixologists – there are plenty of other options. 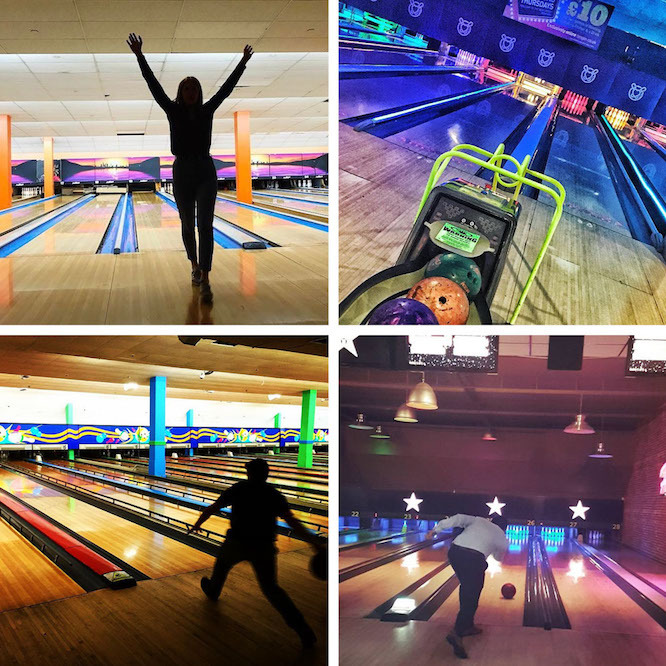 In south London you can find Palace Superbowl in Elephant & Castle, MFA Bowl in Lewisham and Hollywood Bowl in Surrey Quays; there’s also a Hollywood Bowl at the O2 in North Greenwich and in Finsbury Park. 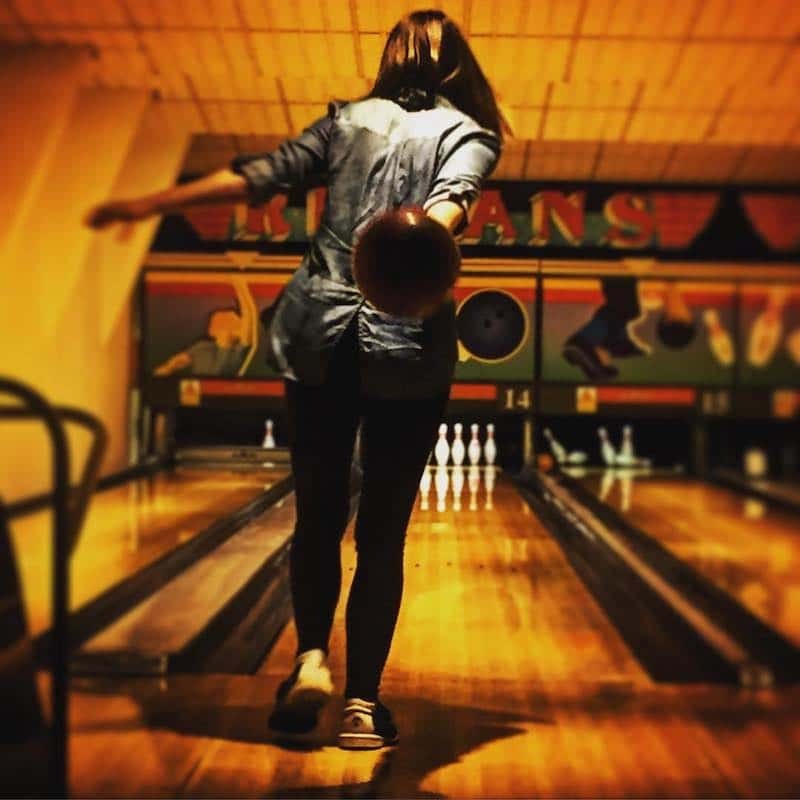 West Londoners can head to Tenpin Acton.